- Complete and progressive: 64 difficulty levels divided into 4 different play games. - Advanced: Elo 1800 player rating system. - 16 LED’s (horizontally and vertically) show the moves played. - TRAINING mode (improvement) indicating to the player whether the move just played is optimal or allowing the player to attempt a new move. 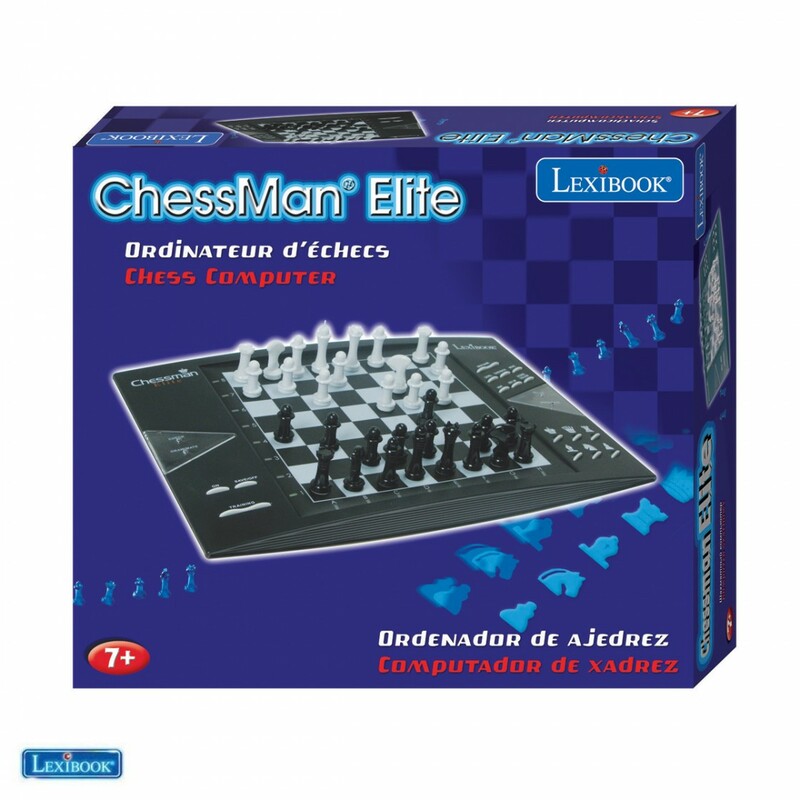 - Knows the 50-move rule, “pat” and draw by repetition, pawn promotion, “en passant” capture. 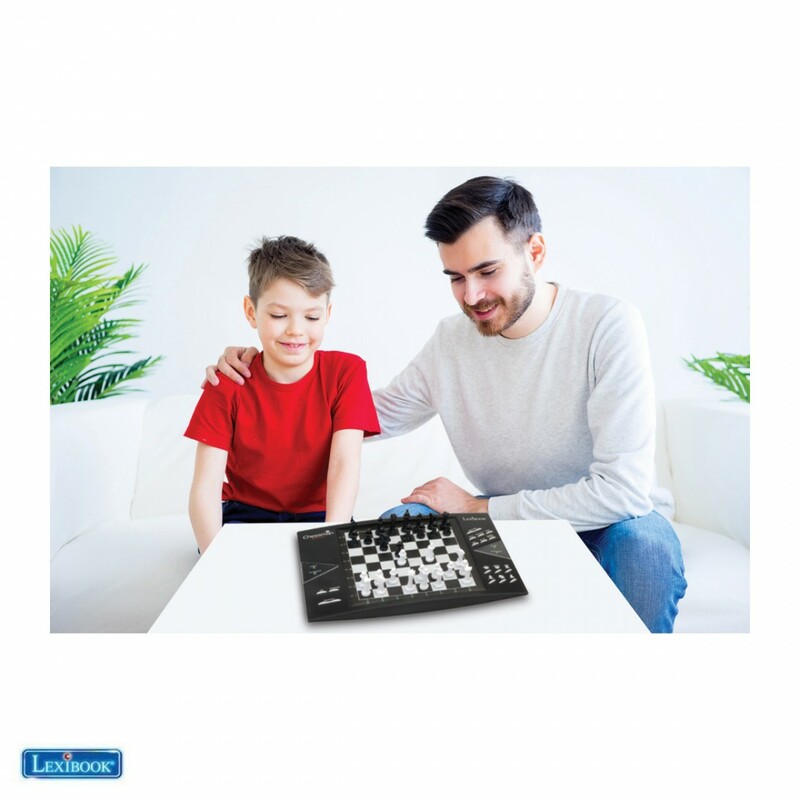 Solve the mate in 5 moves. - 2 players’ mode or player VS. computer mode. MULTIMOVE level to referee a game between 2 players. 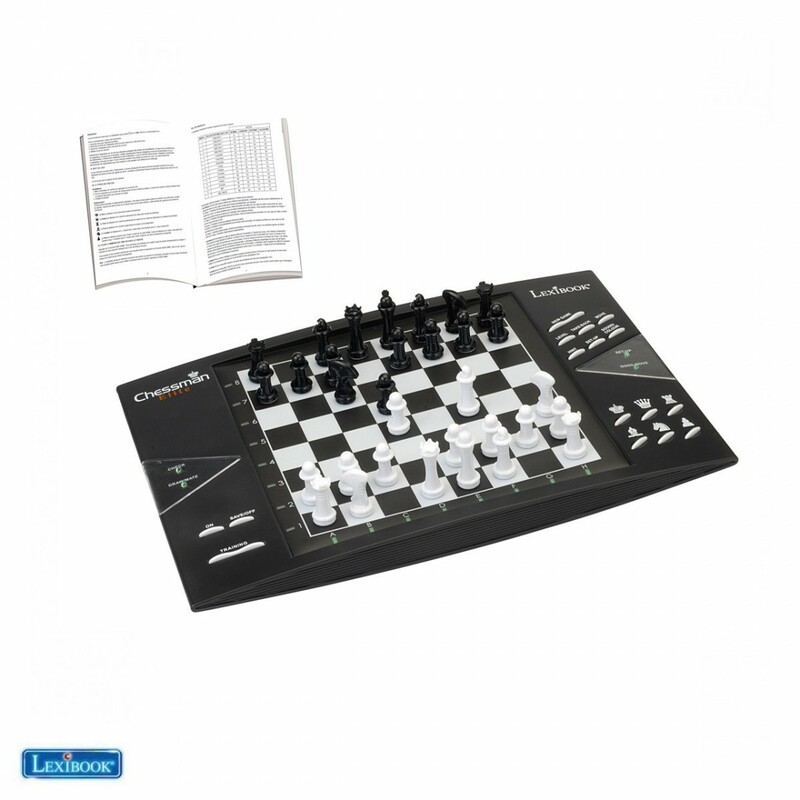 - Functions included: HINT to suggest a move, TAKE BACK can go back up to 2 moves, MOVE, VERIFY, SET UP. 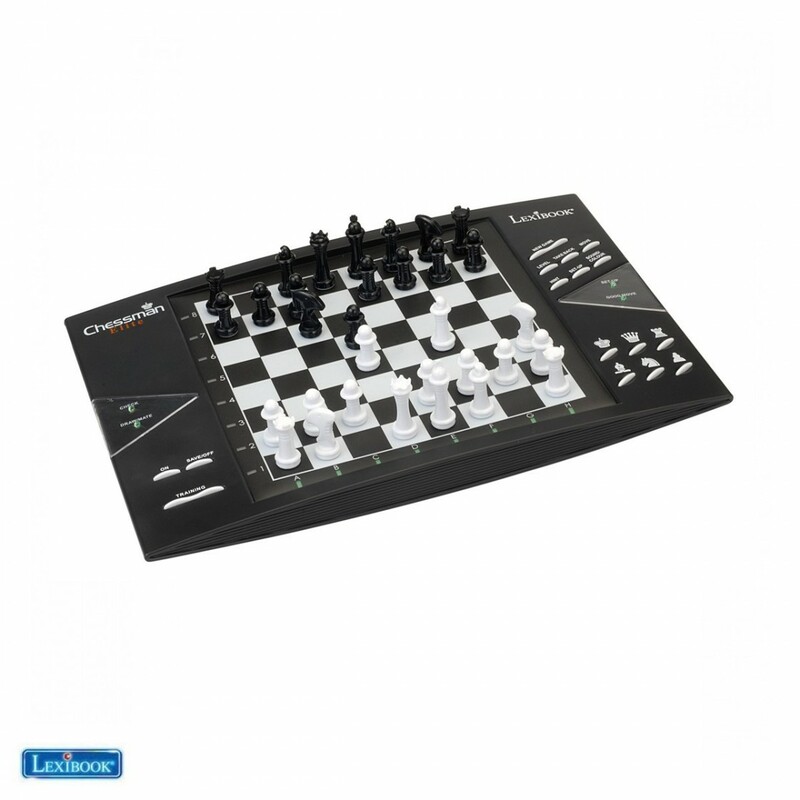 Review "ChessMan® Elite, Electronic chess game with touch-sensitive keyboard"